We use a number of Three Pin Sockets in our home. It has three connections- Phase, Neutral and Earth. 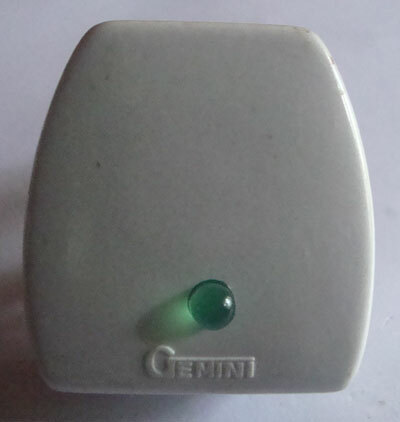 Earth connection is an important safety measure to bleed the leakage current if any from the device using. In a Metal bodied device, if there is current leakage, there is the possibility of shock hazard . So the Earth connection should be intact to bleed the leakage current. How can we check whether the Earth connection is intact or not. The AC Tester check will not give the result because there is no current in Earth line. No problem, this tiny circuit will confirm whether the Earth connection is intact or not. 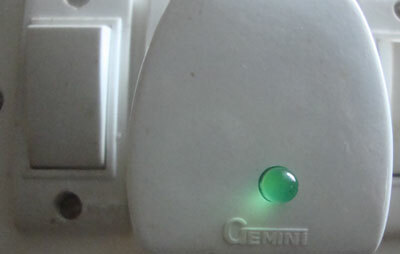 The Green LED lights if the earth connection is intact, otherwise not. It is too simple, and can be enclosed in a Three Pin Socket itself. No additional power supply is needed for the circuit. 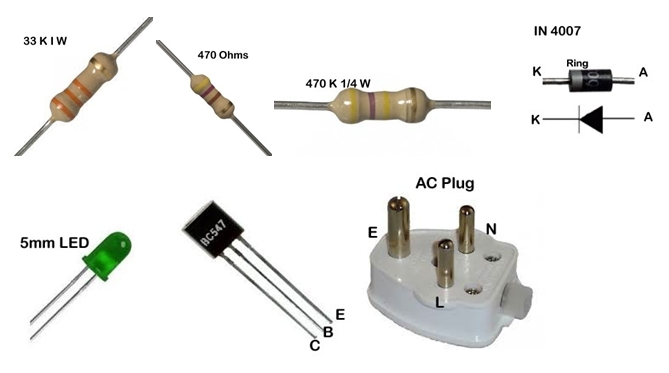 The Rectifier diode D1 and the 33K resistor connected to the Phase pin drops the high volt AC and rectifies to a very low volt DC. LED is connected to the Collector of T1. The Base of T1 is connected to the Earth pin via a 470K resistor. 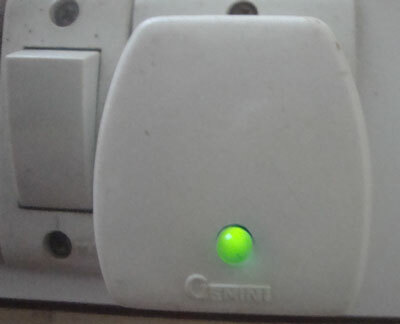 The Emitter of T1 is connected to the Neutral pin. 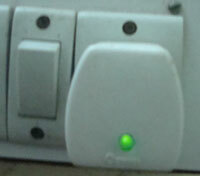 Thus T1 acts as a switch to light the LED. If the Earth line is intact, Green LED lights, otherwise not. 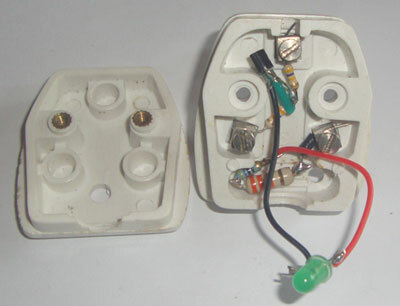 The circuit uses the voltage appearing across the Earth and Neutral terminals when the circuit is connected. When the wiring is proper, a potential difference develops between the Neutral and Earth lines and T1 turns on to light the LED. No PCB is needed for the circuit. You can solder end-to-end. It can be enclosed inside the 3 pin Plug. Provide sleeving for the terminals of the components to avoid short circuit. 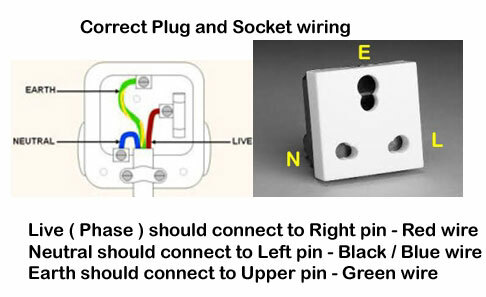 Test the circuit only after fixing the case of the Plug. 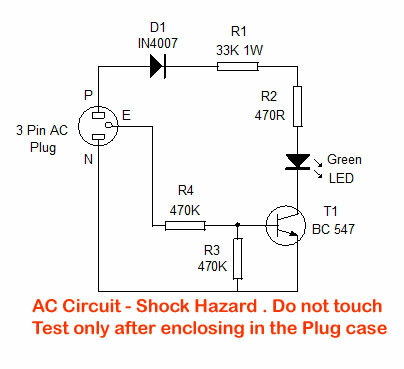 Caution: This circuit uses high volt AC and there is Shock hazard if handled carelessly. Do not troubleshoot when connected to mains. Test only after fixing the cover of the 3 pin plug.